NOTEIf you are using Harmony Server, the Render Write Nodes dialog will have a Batch Composite Options section. Enabling this option will send your scene to batch rendering instead of rendering it locally. Simply disable this option and follow the steps below. 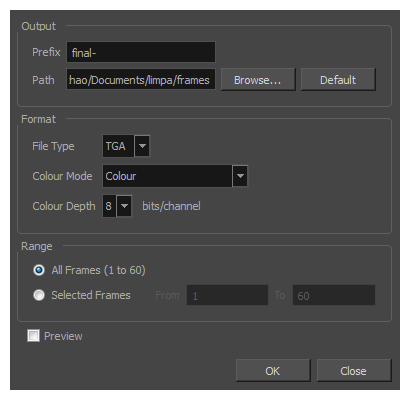 For information on how to use Batch Composite Options, see Batch Rendering.